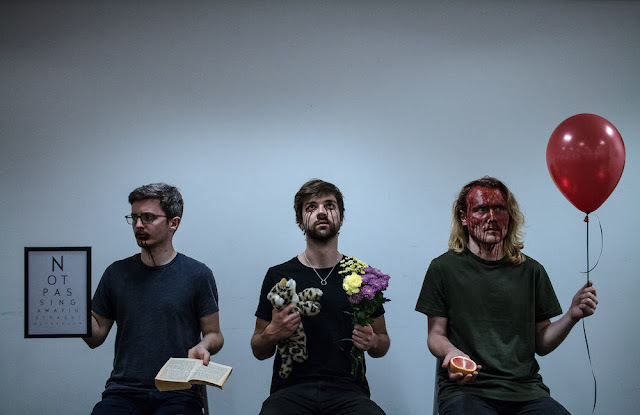 Cambridge-based alternative trio, Goldblume, release the second single 'We All Know Why And Who', taken from the bands upcoming debut album, HUSK. The album is set for a 9th November 2018 release through Aaahh!!! Real Records. HUSK is a record which encourages you to be kinder to you, and to better understand the mental state of other people, as well as your own. Recorded by David Leighton at River Run Studios in Potton, Cambridgeshire and self-produced and mixed by the band themselves at guitarist Jethro's home studio, these 10 tracks are a dichotomy—bold, emotional and powerful, but also intricate and delicate. The new album is a three-year journey into trying to find a sense of self and connecting it to the face you see in the mirror.